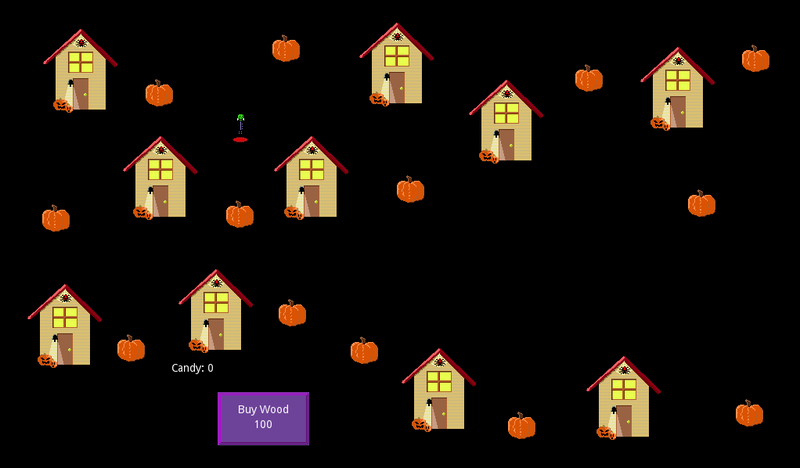 Mouse: click homes and pumpkins to collect candy. Click buttons to purchase help and wood. Keyboard: Move with the arrow keys and collect candy from pumpkins and houses with the space bar. 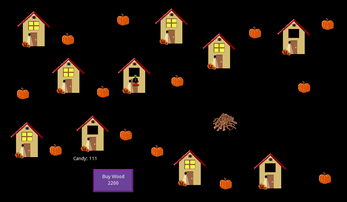 Thanks for checking out Click or Treat, a Halloween themed adventure clicker. Oct. 23, 2017: While it doesn't look exactly as I envision (see below), here is the latest demo of Click or Treat! Thank you for playing and please leave any feedback you have. Oct. 4, 2017: Game development continues and I will have the start to a great adventure complete by this Halloween. (Follow me for updates) As I continue to work, it is becoming more and more obvious that I NEED AN ARTIST! 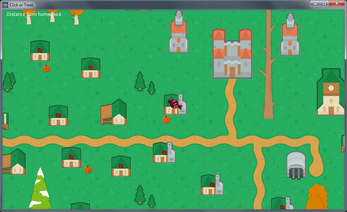 I made the art in the original game , playable above, but with scope growing and my own art clearly lacking, I hope to find someone to work with. The new screenshots show something closer to what I hope to turn the game into. They are created by the wonderful Kenney and they are great! I will continue working with them for now with hopes of finding someone to create assets specifically themed for Halloween. 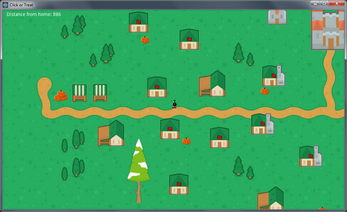 To give an idea of scope, my current thoughts are to have 6 towns and 5 animated characters exploring them. Seems doable but I'm open to change if need be. Let me know if you or someone you know might be a good fit. Thanks! New in v0.2: Sounds, a candy shows you how much you earn at each location. Still to come: Hiring helpers and more! 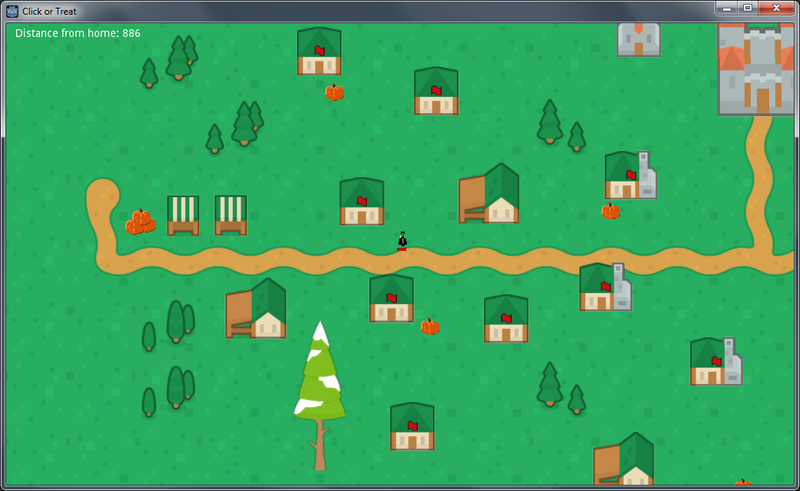 Updated 8/29/17: New in v0.3: Helpers are here and rolling hills and leaves have been added to the scene for the MS Paint Jam! In addition candies are now randomly colored for an even more festive atmosphere. dude! i could totally help you out with the graphics and town design! I use a Wacom tablet and artrage lite.